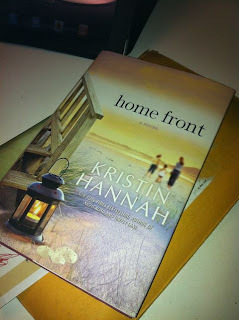 Look at what came in the mail this week from my friend Suzanne at Liberty Bay Books, with a lovely note from Kristin Hannah herself! Before moving to San Francisco, I never missed an author event with Kristin (I am a huge fan!) 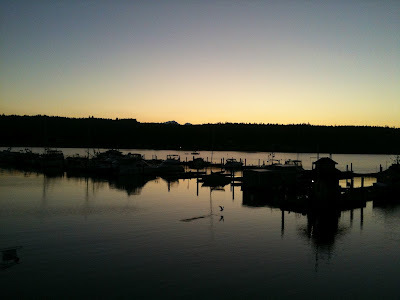 and Suzanne knew that I was really missing out to not be at the Home Front book event with Kristin last week at the Loft in downtown Poulsbo. "Caron, Missed you tonight! xo Kristin"
Home Front begins beside Liberty Bay in Washington State, and is definitely one of those stories, and one that I think needs to be told, about everyday women and mothers being sent to war. There's a whole lot more to this engrossing story, but I am only on page 87 and am already dipping into the Kleenex box. 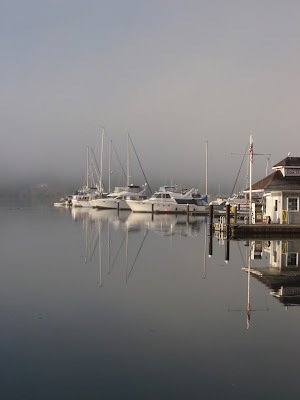 Now I am homesick for Poulsbo, Liberty Bay and downtown Poulsbo. Congratulations to Kristin Hannah for making Home Front the #1 book on the New York Times Bestseller List! Suzanne can even get you an autographed copy or a special autographed note from Kristin if you order the e-book. 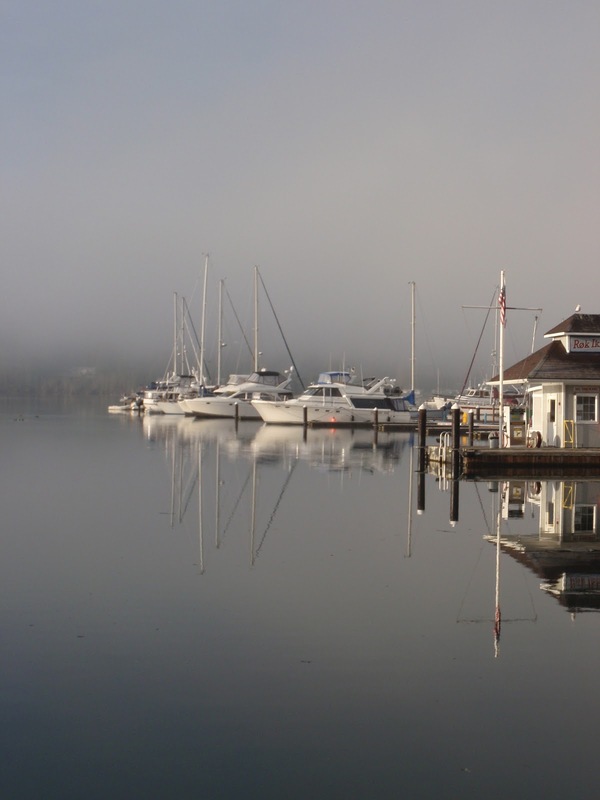 Visit the Liberty Bay Books site, or give them a call at the store in Poulsbo, 360-779-5909. Hi Caron, Well, I'll have to read this one for sure since it takes place practically in my back yard! I love Liberty Bag Books. The folks there are so helpful. Next time you are in Poulsbo be sure to try Hot shots Java, just a few door from Liberty Bay Books. We love their mochas! I have to put this one on my reading list, I only just started reading her books and finished Angel Falls which I loved.